Ken Shiro (left), Masayuki Ito (middle) and Takuma Inoue (right). Japan’s end of the year boxing show now set! Ken Shiro (14-0, 8 KOs) will defend his WBC Light Flyweight title against Saul Juarez (24-8-2, 13 KOs). Masayuki Ito (24-1-1, 12 KOs) will defend the WBO Junior Lightweight title against mandatory challenger Evgeny Chuprakov (20-0, 10 KOs). Takuma Inoue (12-0-3 KOs) will face Petch Sor Chitpattana (48-0, 33 KOs) for the vacant WBC Bantamweight title. Overall this is a very solid card with Ito being the headliner. Also, this will be Ito’s first title defense at home following his upset win over Christopher Diaz to win the vacant WBO title in July. 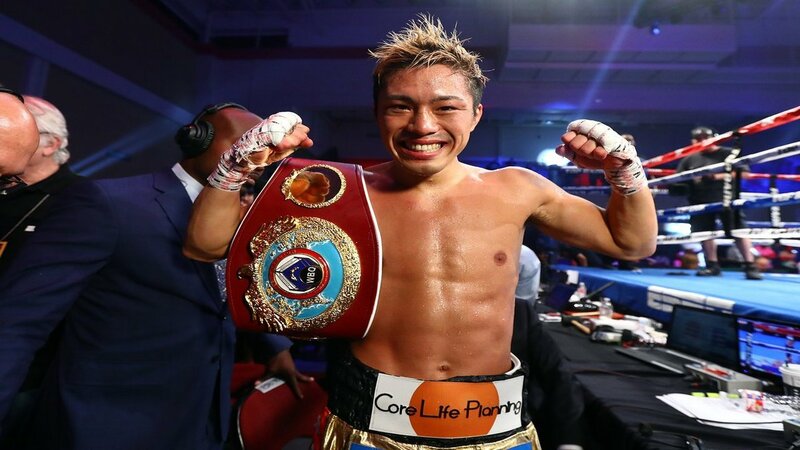 And Takuma Inoue gets the chance to step outside the shadow of his brother Naoya Inoue, fighting Chitpattana who has been patiently waiting for his world title opportunity. It’s interesting that this card will happen December 30. A fight between Kazuto Ioka and Donnie Nietes is anticipated to be announced in the next week. Ioka – Nietes will take place in Macau on December 31st. Very smart move by this event’s promoters and organizers to have this card a day prior to the big fight. This gives the local television networks time and space to air both their end the year show and Ioka – Nietes without any hassle from the Japanese public.